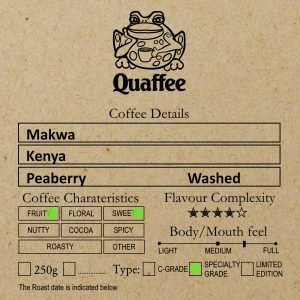 Posts > Coffee > Green Coffee > categorization > What is Decaffeinated Coffee? The further away a coffee variety is away from Arabica heirloom the higher its caffeine content. The heirloom varieties represents only 6% of the coffee grown in the world today. Arabica developed caffeine as a method of defending it self against insects; rather that a method to attract the consumers, who may assist in distributing the seed. Although it has been argued that this may also be an evolution. The two most popular methods are with a solvent are Methylene Cholride – commonly used in paint removal (which has found to cause some lung related diseases) and Ethyl Acetate – used mainly in dry cleaning (linked to skin, eye, throat and delicate skin irritation). Filtration methods use hot water and filters to remove as much as possible then return the flavour in a cold soak. The gas based method uses CO2. Using the fact that CO2 when compressed acts as both a liquid and a gas, the caffeine is removed while the most of the flavour remains intact. This process is performed on the green bean, and the resultant bean is slightly parched, and a darker colour after it has been roasted. This method of decaffeination uses the fact that fruit juice when it ferments produces a natural form of Ethyl Acetate. Ethyl Acetate (EA) is a liquid which is used to wash the coffee with. Caffeine and EA like to be friends, so that caffeine molecule is extracted from the raw coffee bean. All the process require the coffee to be re-dried. 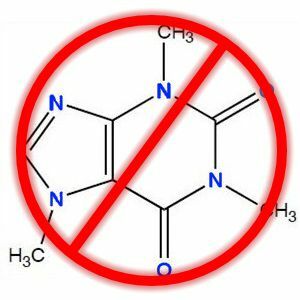 Even though the decaffeination process already damages the cellular structure of the coffee, it is important not do damage it even further. So the drying process must always be below 36 °C. Why does Decaffeinated Coffee taste bad? Although not always the case (specifically in the coffee we source – La Serrania) many decaf coffees are old crop coffees that did not sell. They are then sent to be decaffeinated so that they be sold. Since many people that offer decaf do not check freshness of crop this makes the product easier to sell. The disadvantage is the reason the coffee did not sell is that it was probably not so great in the first place. An in tact cellular structure in a coffee bean is important. As soon as the cellular structure of a coffee is compromised it leeches all the goodness out of the coffee. Flavour and aroma are the first to go in this case. If the decaf process is too intense, or the drying is a too high a temp then this will further damage the cellular structure of the coffee.